Roman copy of Greek statue C4th B.C. 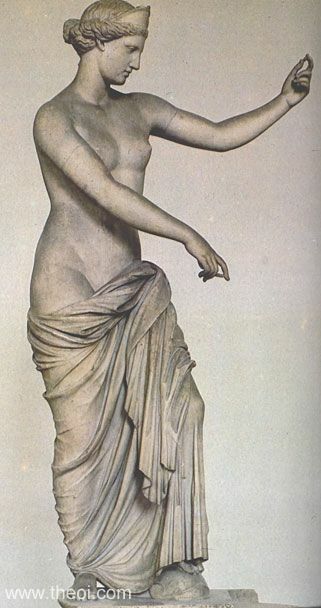 The goddess Aphrodite (Roman Venus) stands gazing at her reflection in a polished shield (missing). She is partially disrobed and wears a stephane crown.